Obituary for Ruth C. Moreland | House of Wheat Funeral Home, Inc.
MORELAND, Ruth C., born April 20, 1929 in Chattanooga, TN, departed this life January 11, 2019. Ruth retired from GM/Truck & Bus Division. She was a member of Corinthian Baptist Church. Preceded in death by her parents, Frank and Nannie Dunson; husband of 67 years, James Moreland Sr.; daughter, Barbara Watson; two brothers and three sisters. 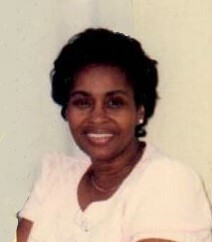 She leaves to cherish her memory: sons, James Jr. (Ella) and Terryl (Jean) Moreland; daughters, Gail (Charles) Smith, Crystal (Bobby) Smith; brother, Samuel L. (Herliner) Dunson; 13 grandchildren, 19 great grandchildren, 1 great-great grandchild; a host of nieces, nephews and friends. Service 10 am Friday, January 18, at Corinthian Baptist Church, 700 S. James H. McGee Blvd. Eulogist: Rev. Dr. P.E. Henderson Jr., Pastor. Visitation 9 am at which time family will receive friends. Interment Dayton National Cemetery. Arrangements entrusted to House of Wheat Funeral Home, Inc. In lieu of flowers, the family requests that donations be made to your favorite church or charity.